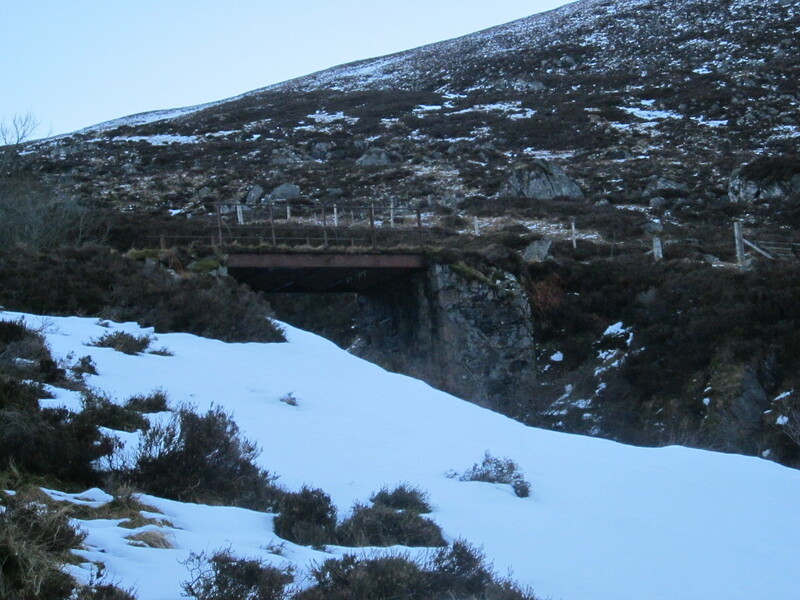 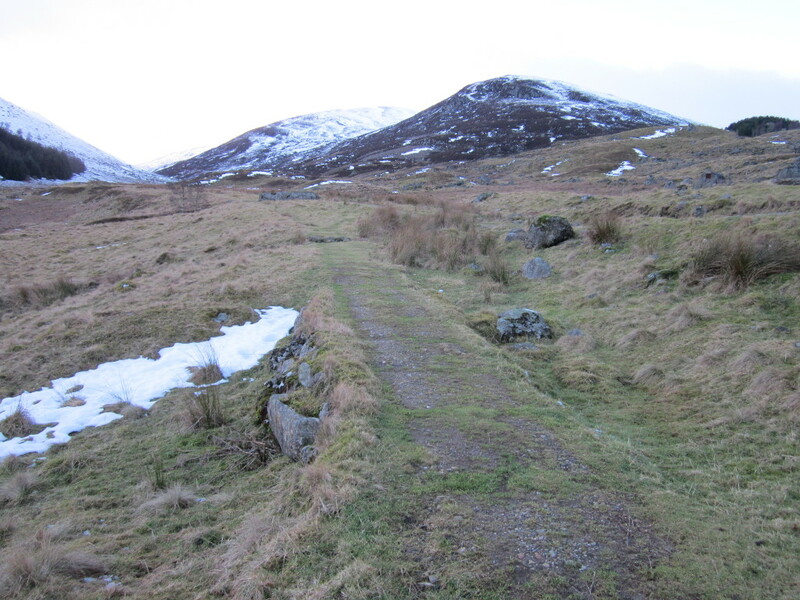 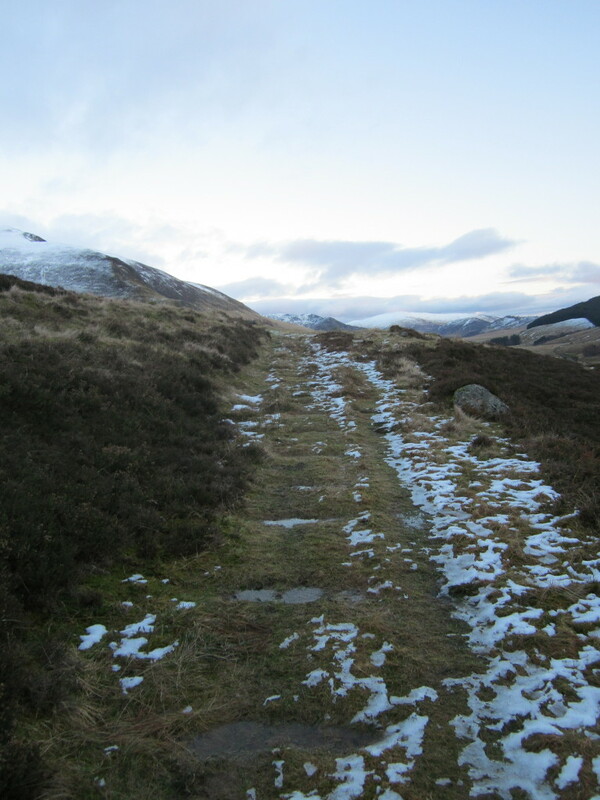 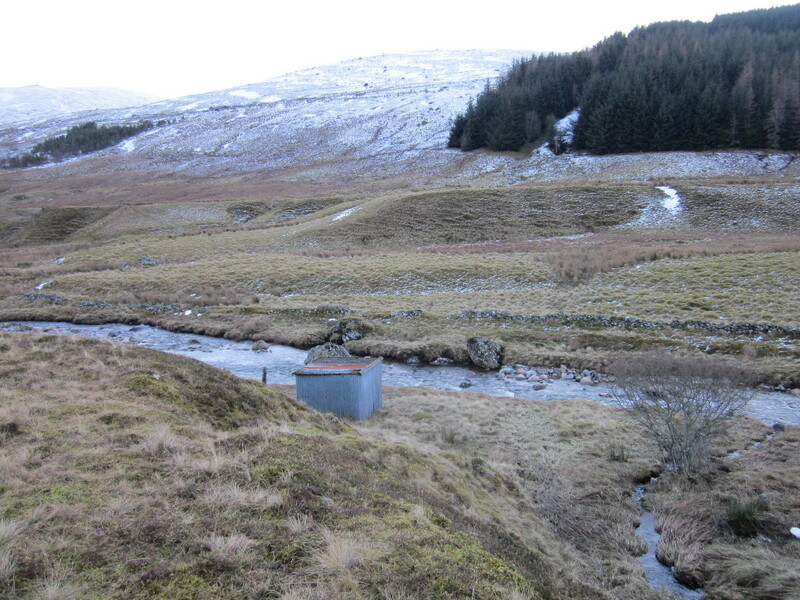 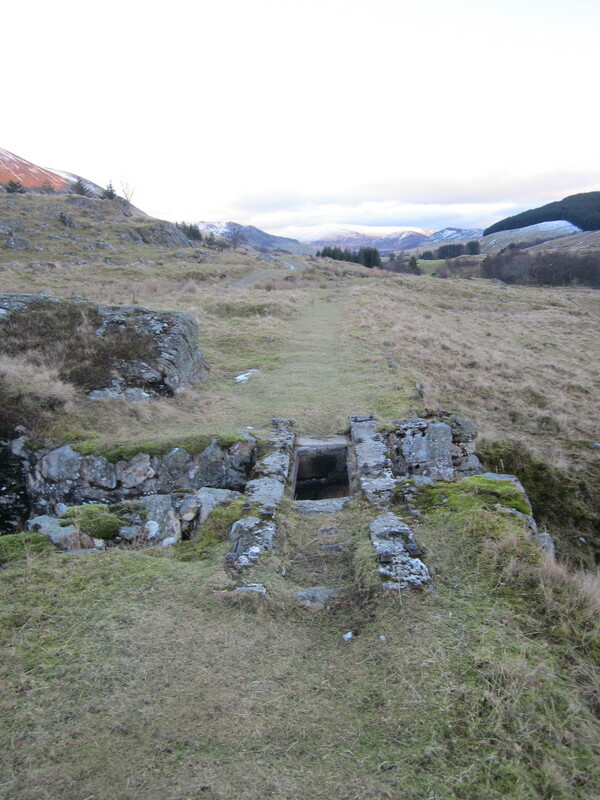 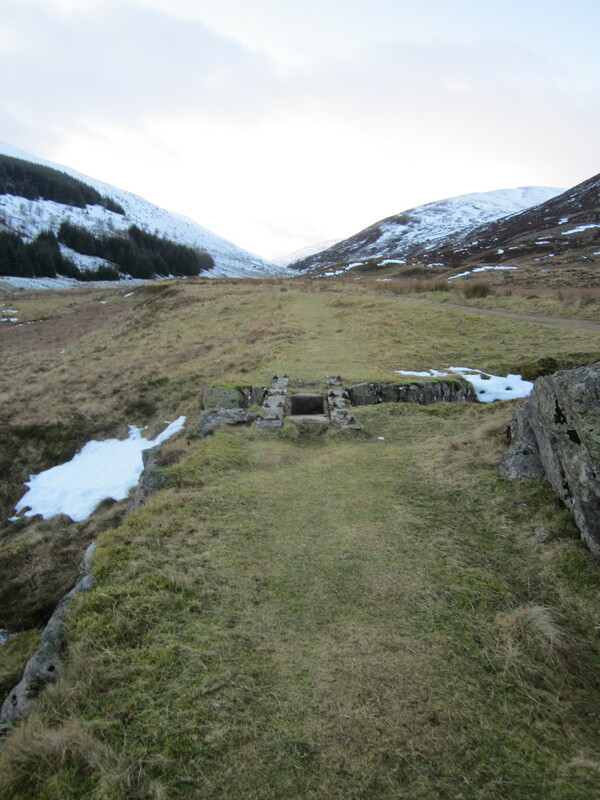 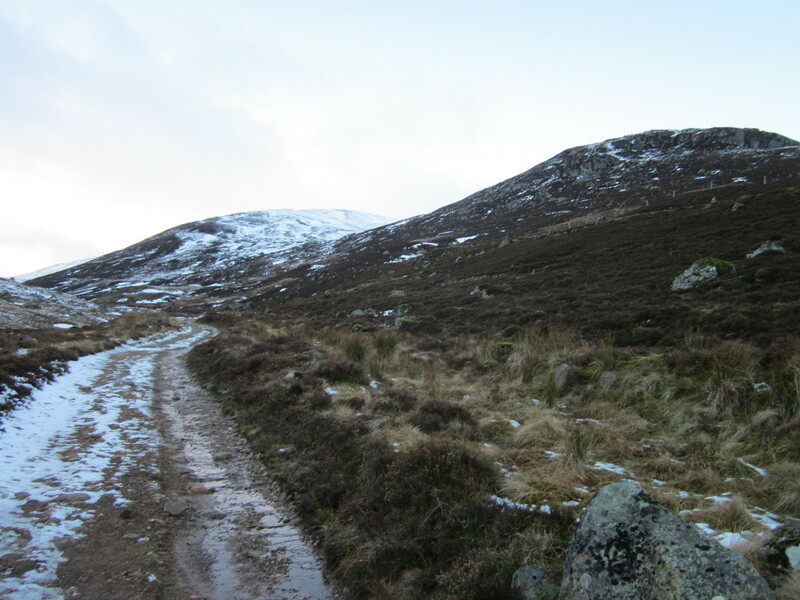 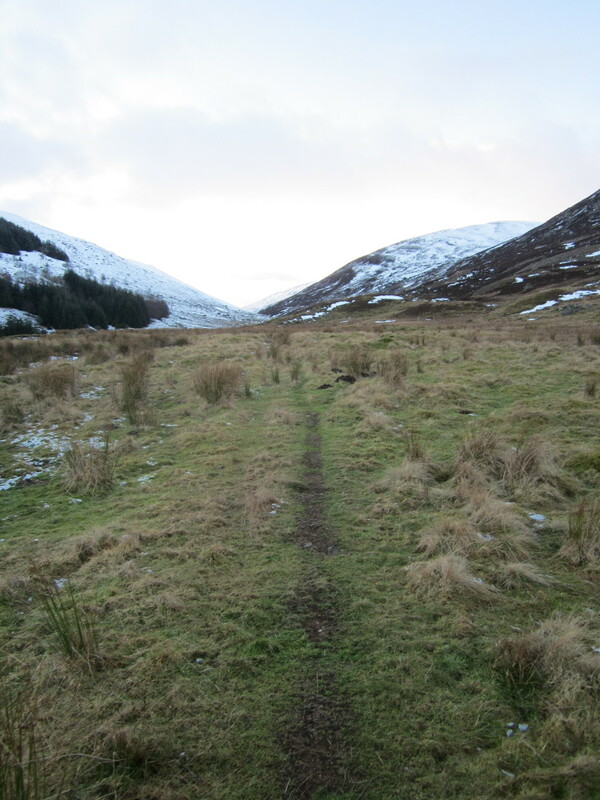 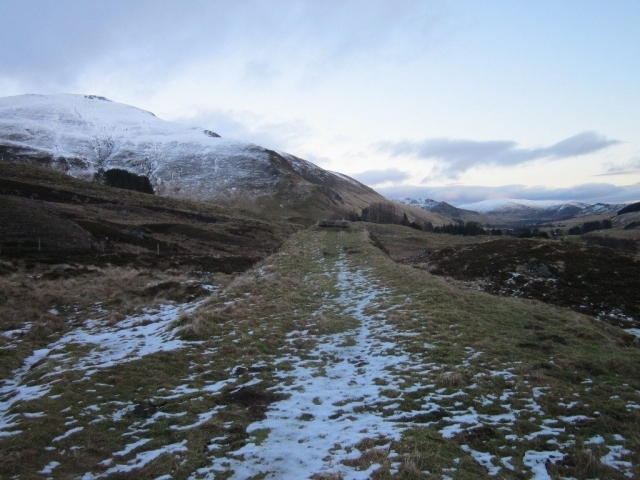 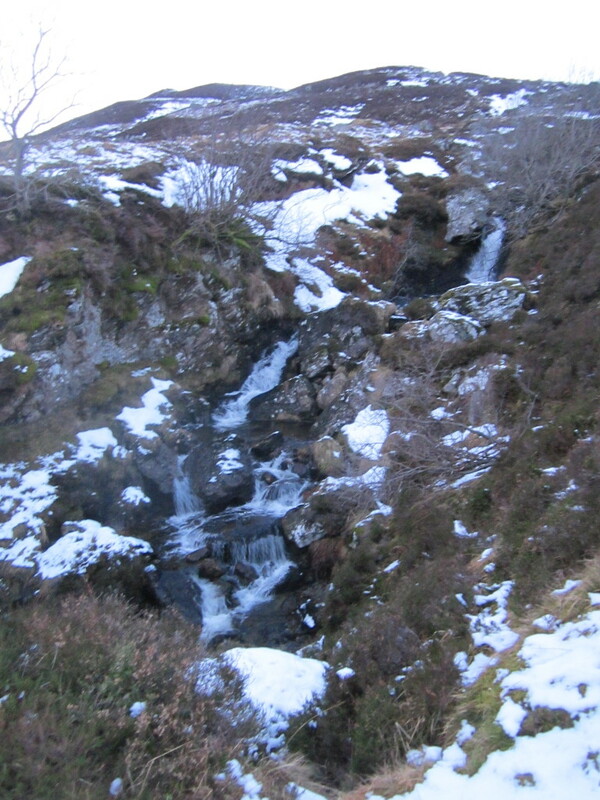 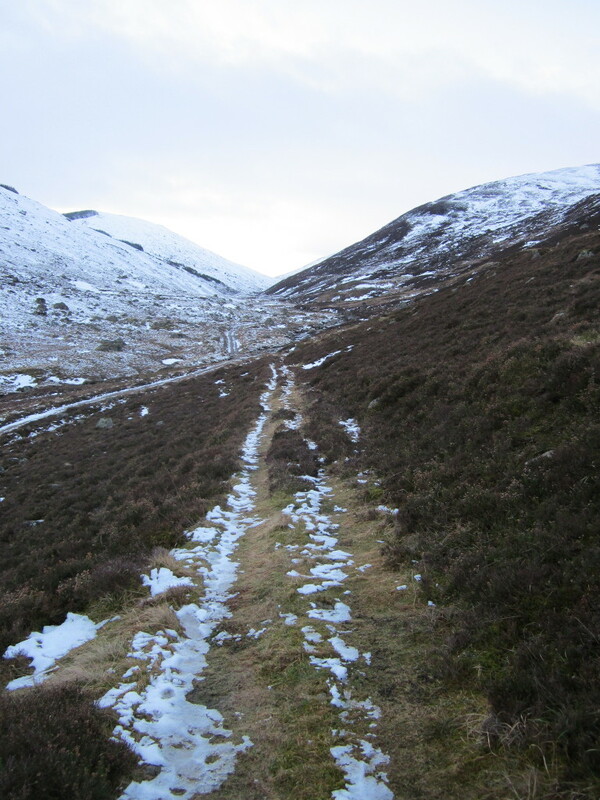 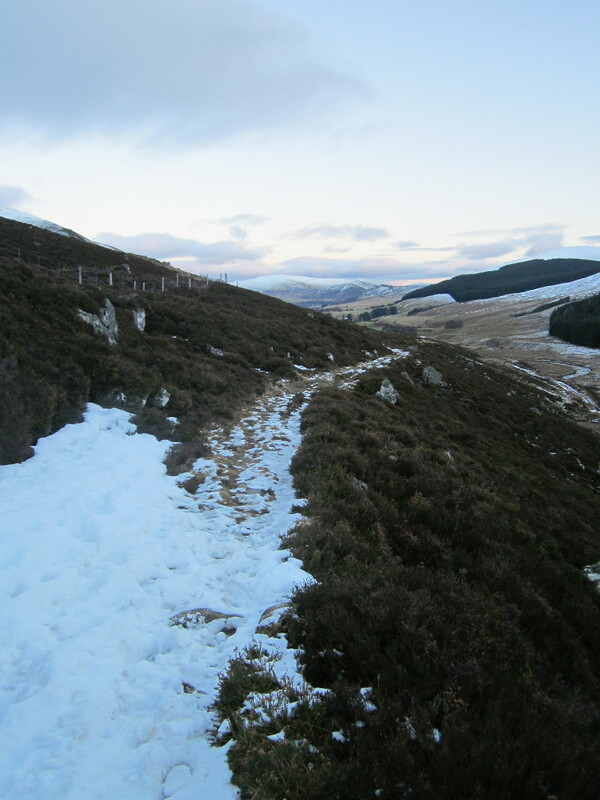 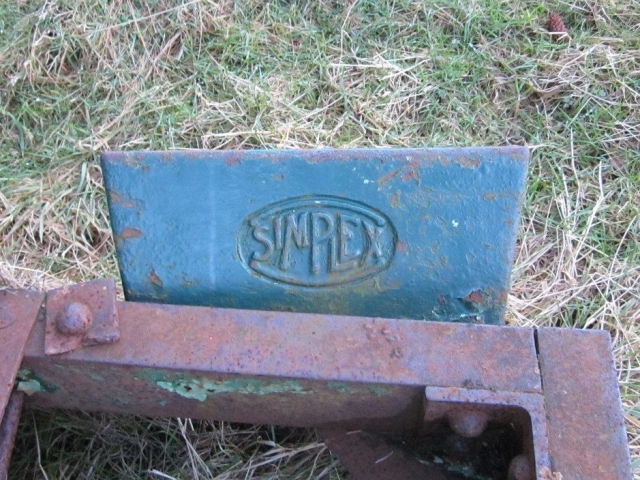 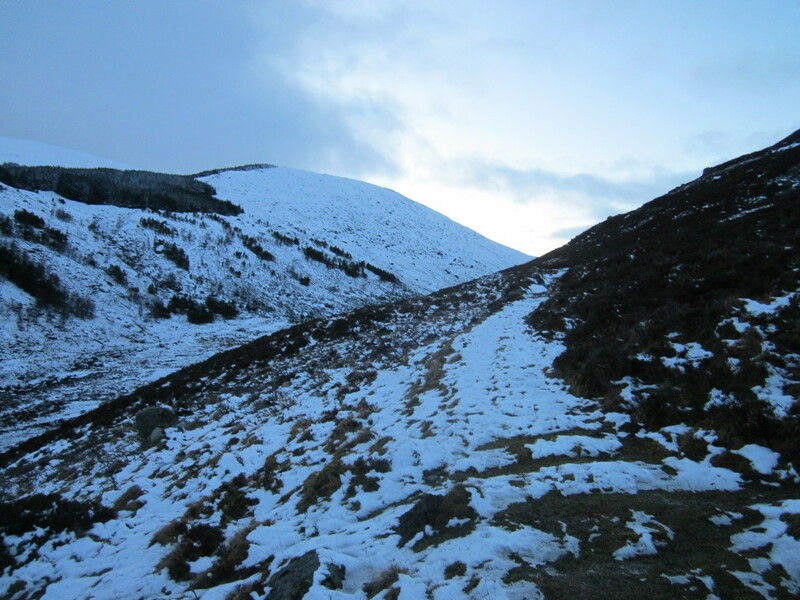 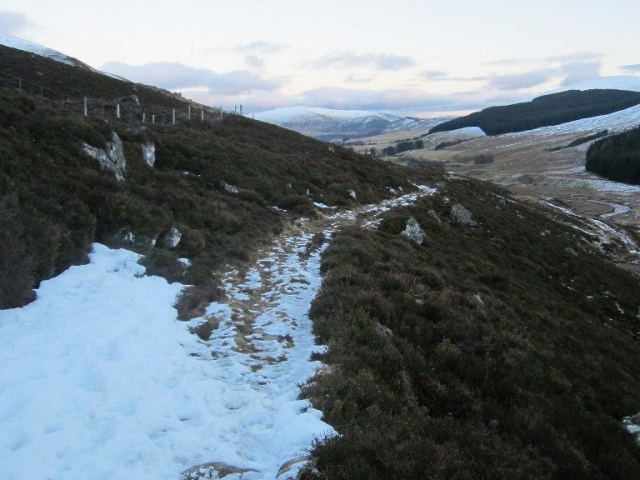 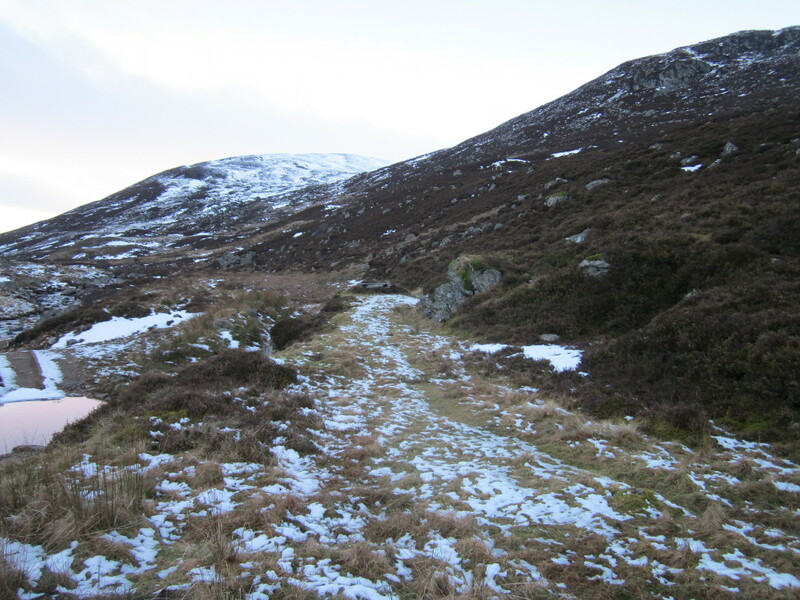 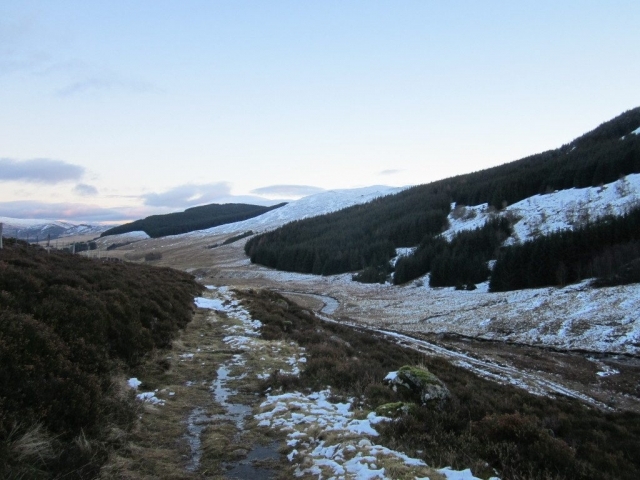 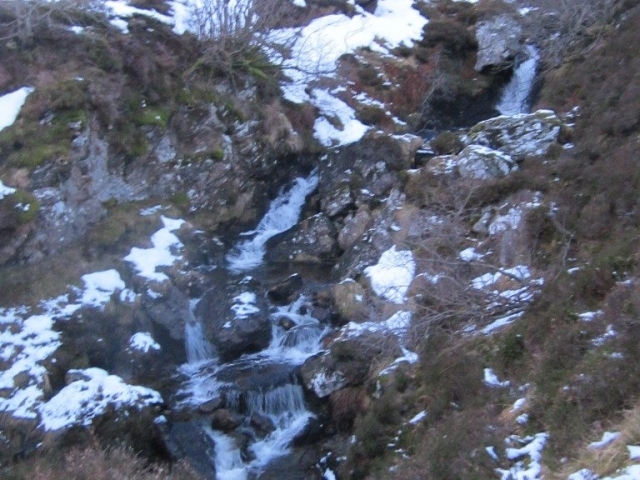 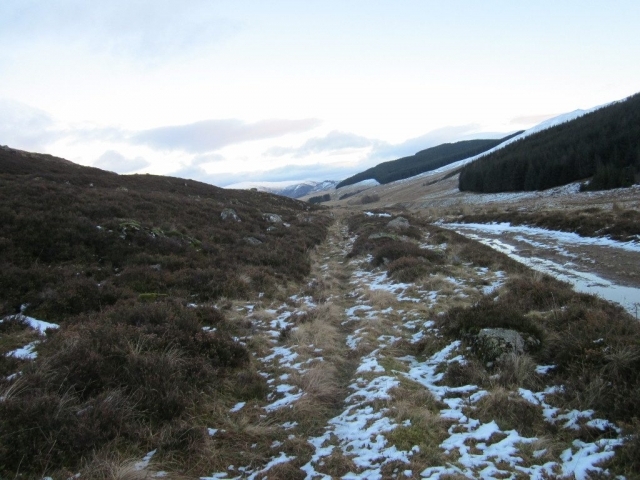 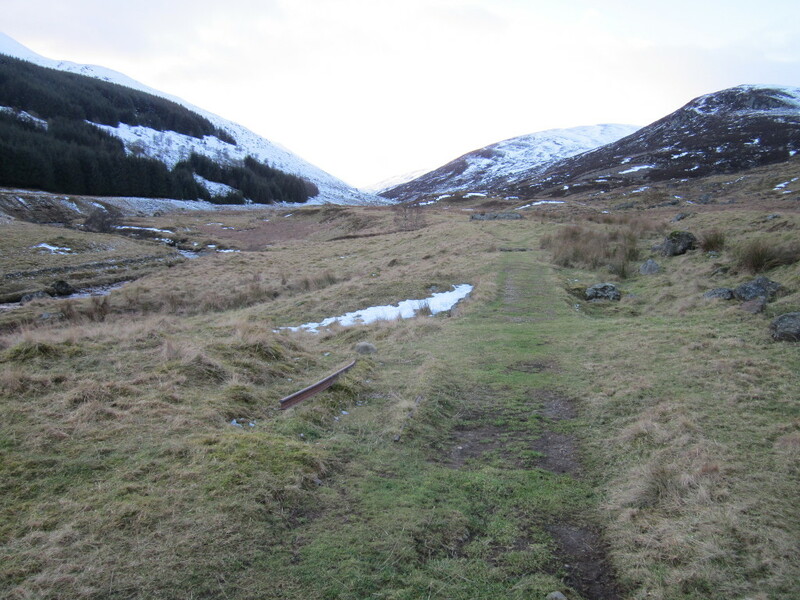 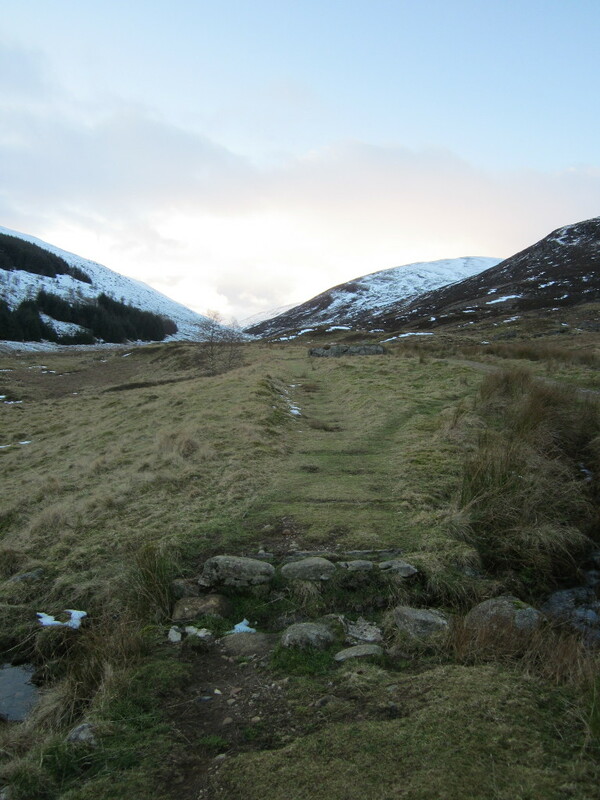 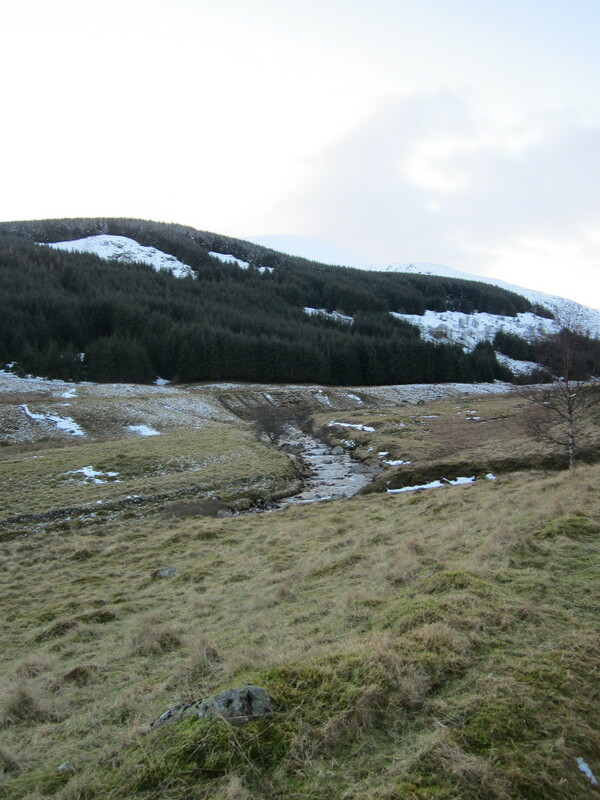 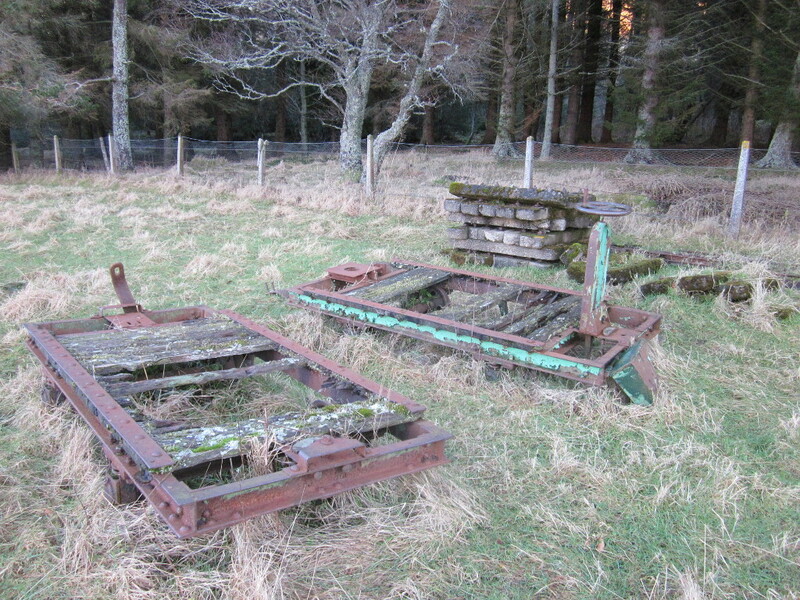 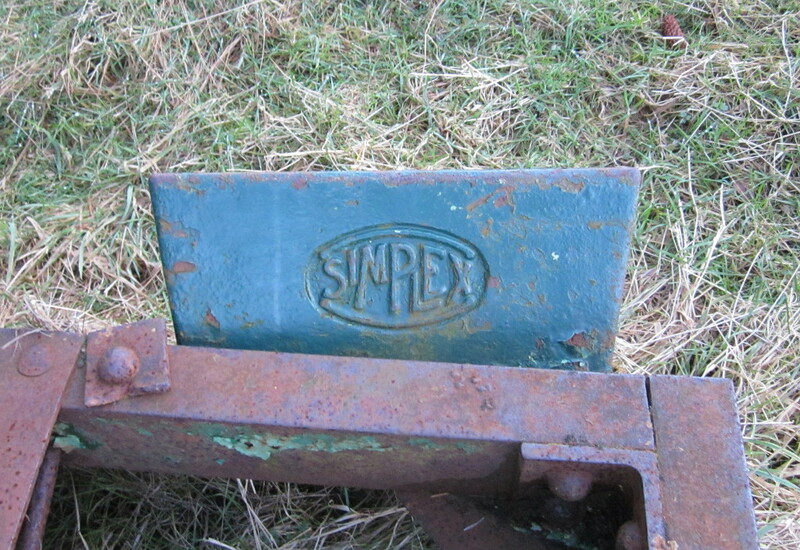 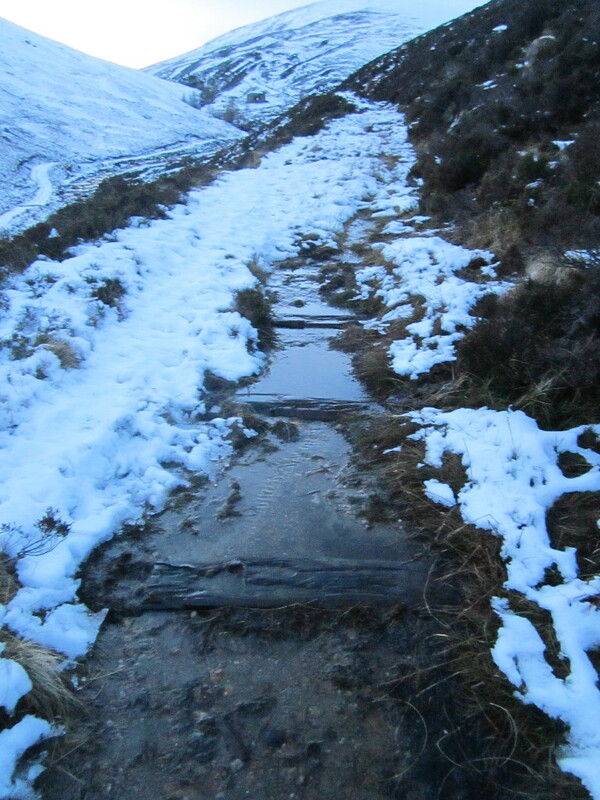 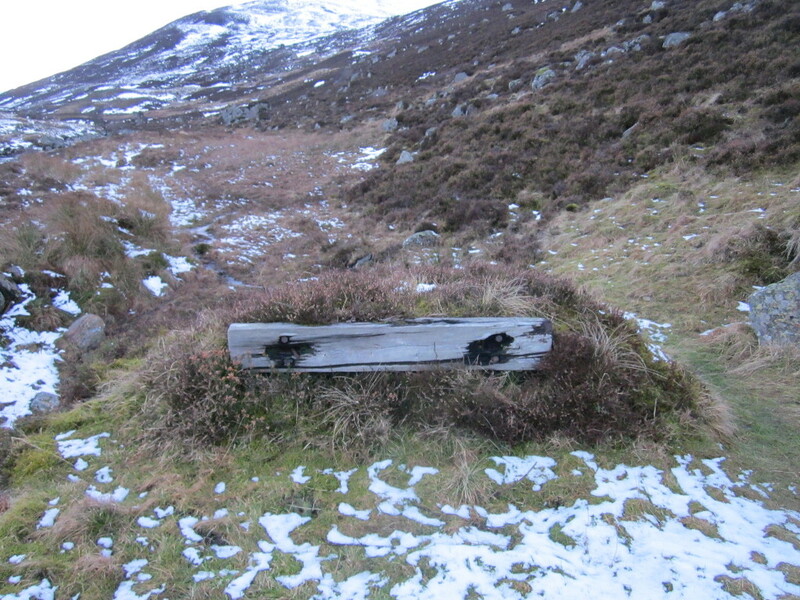 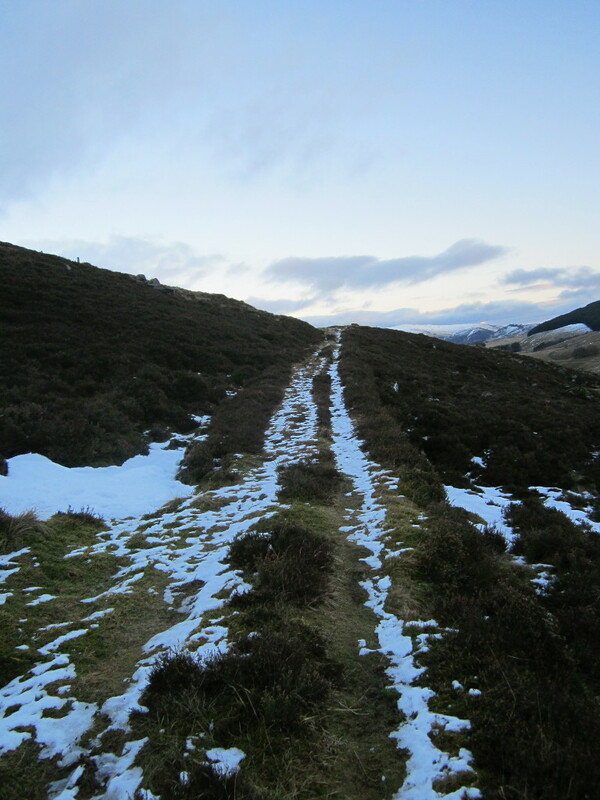 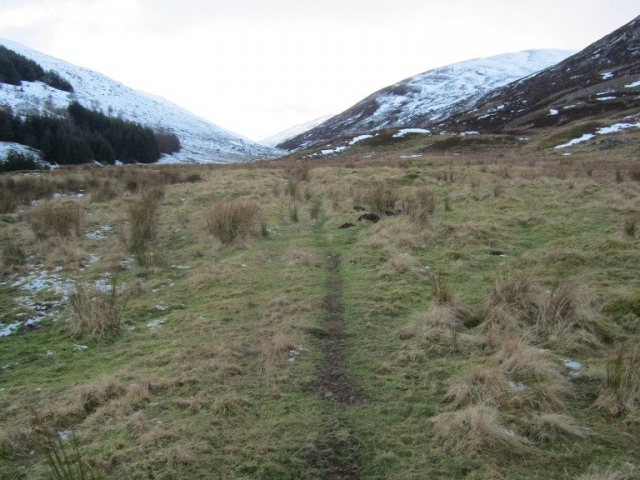 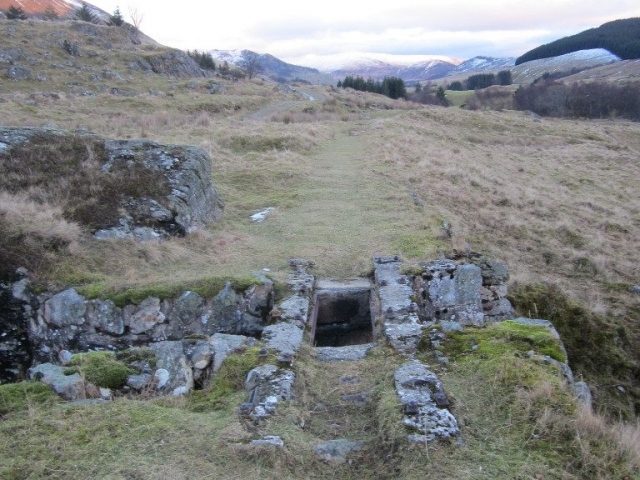 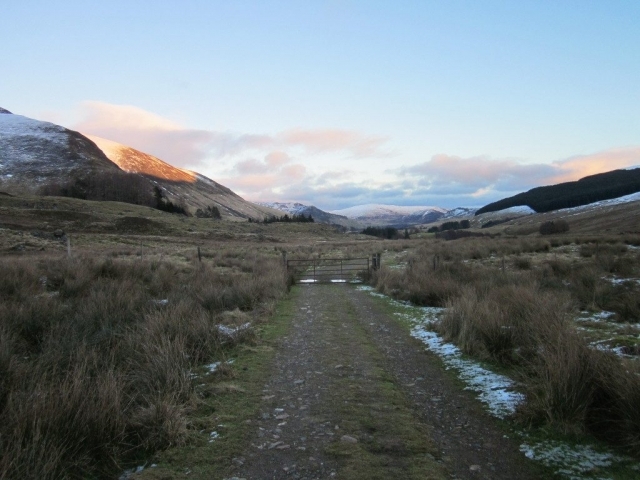 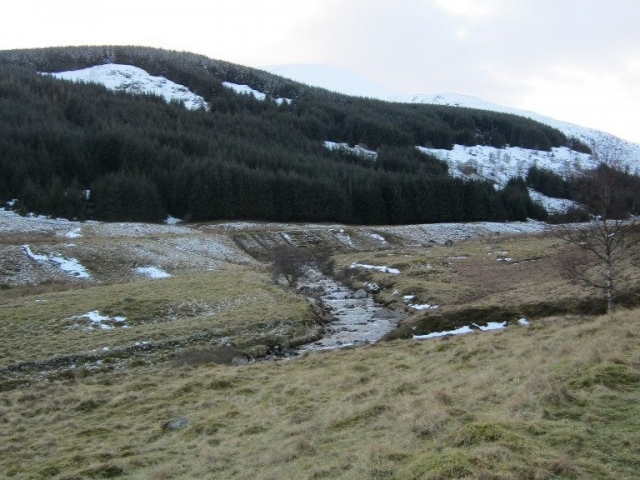 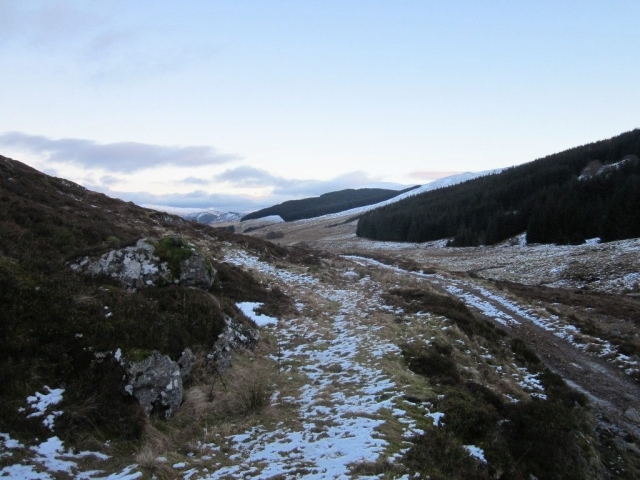 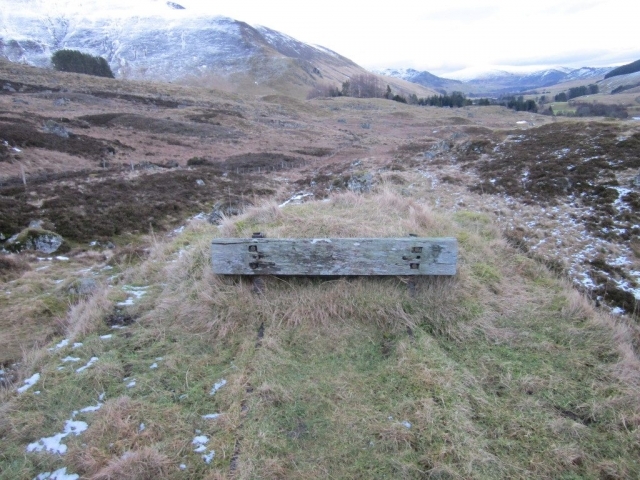 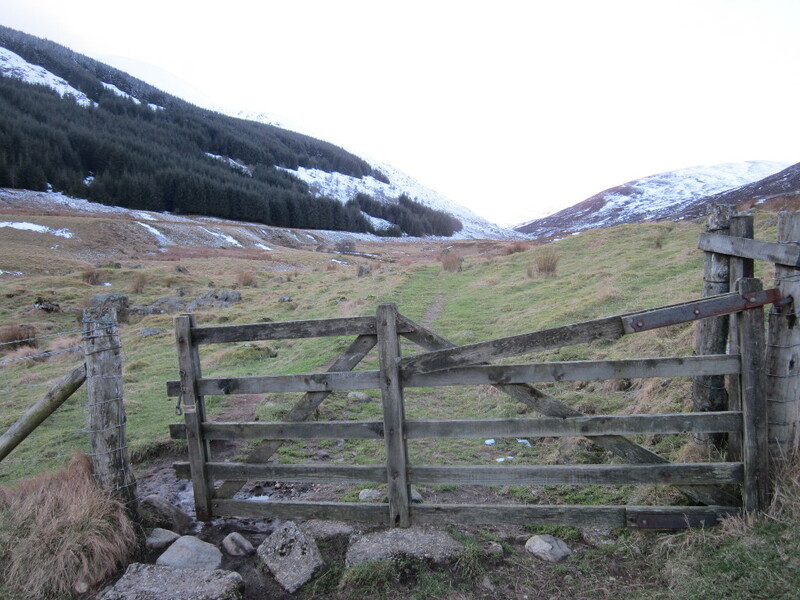 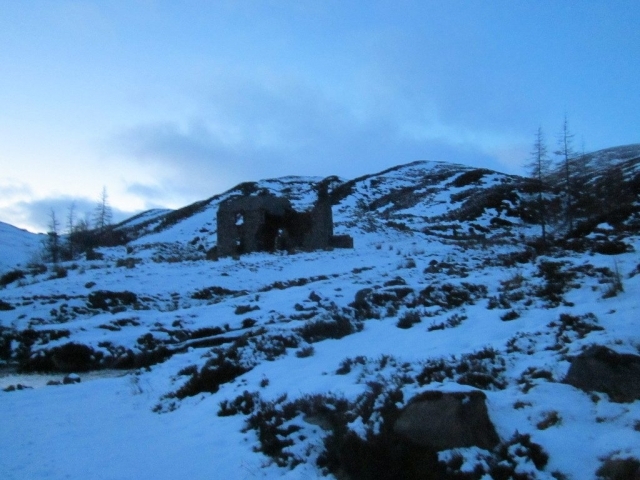 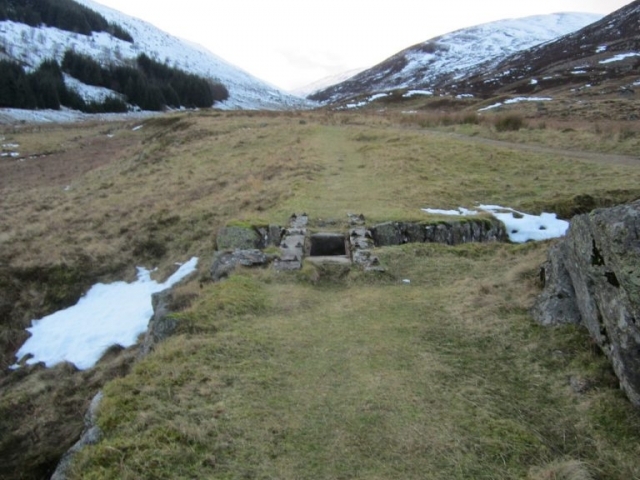 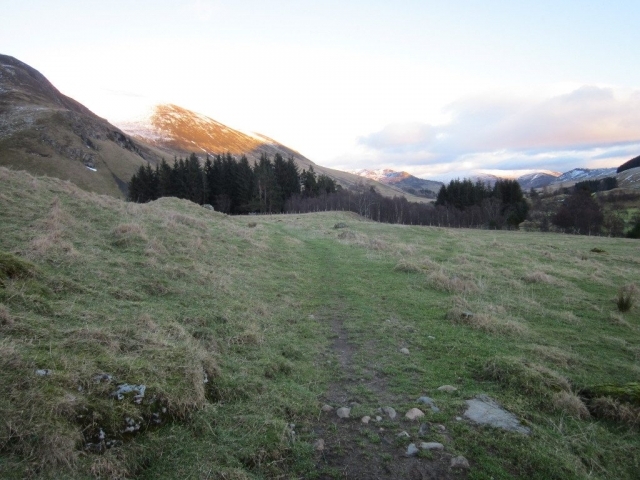 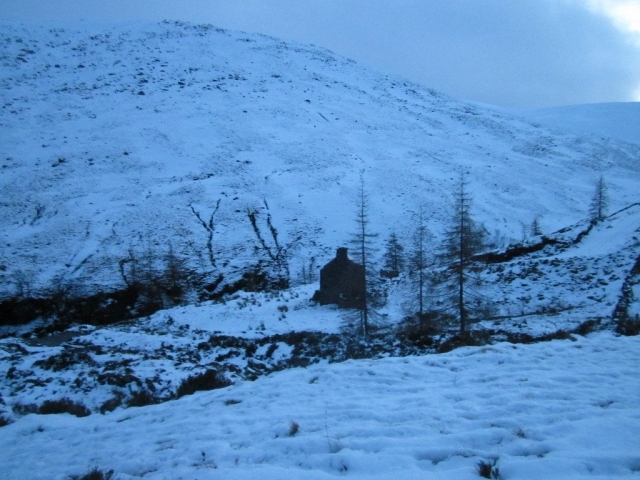 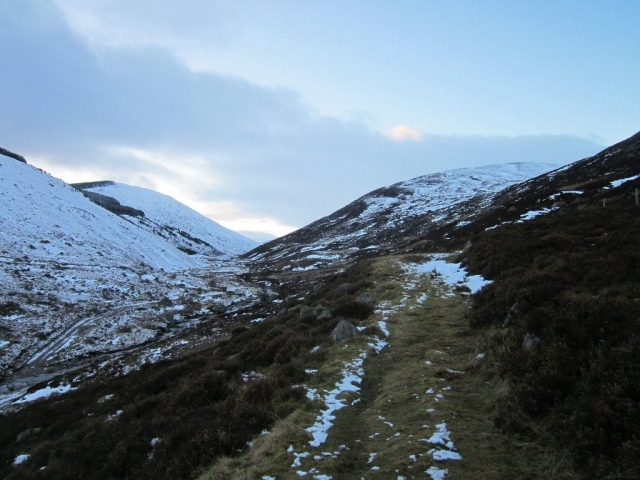 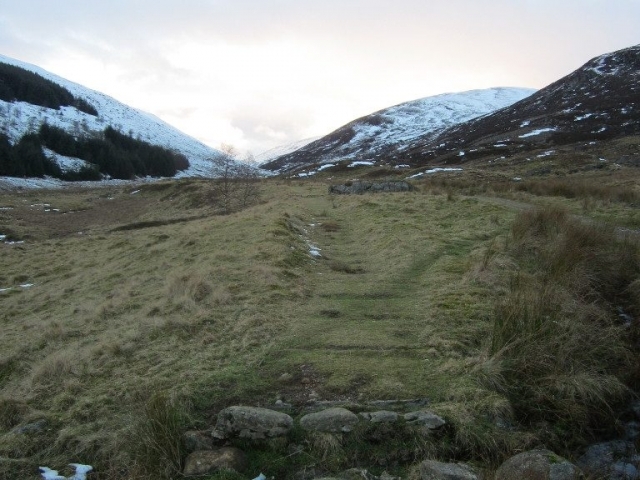 These photos were taken during a visit to the Dalmunzie Railway, near Spittal of Glenshee, Scotland in February 2016. 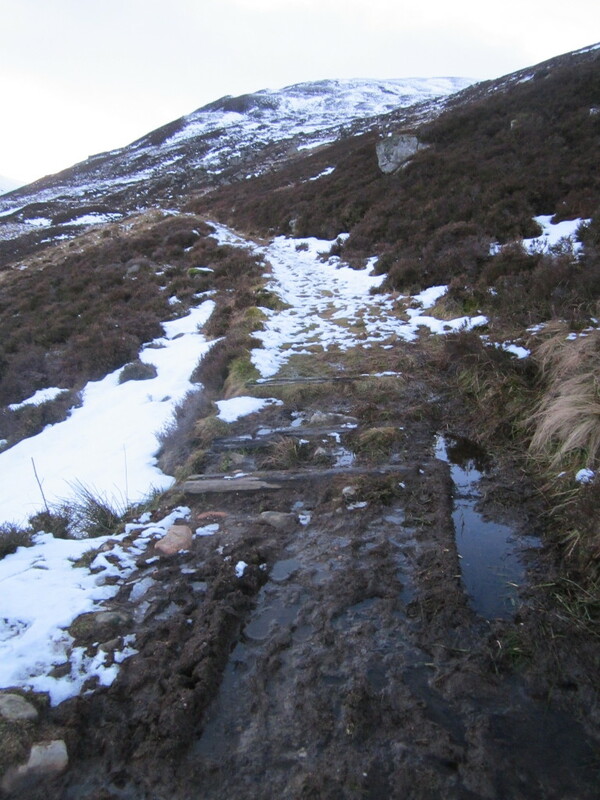 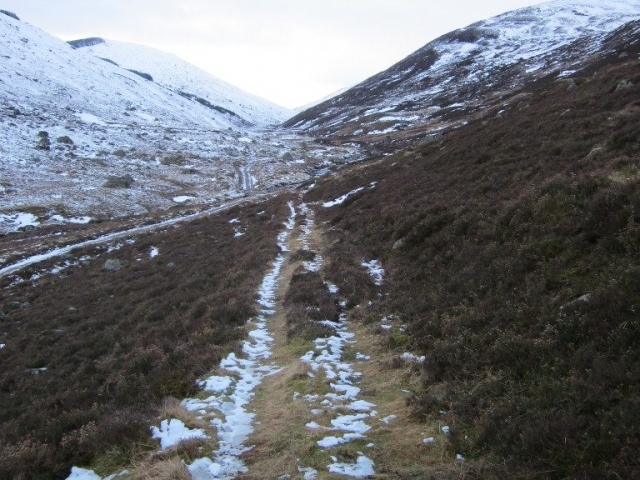 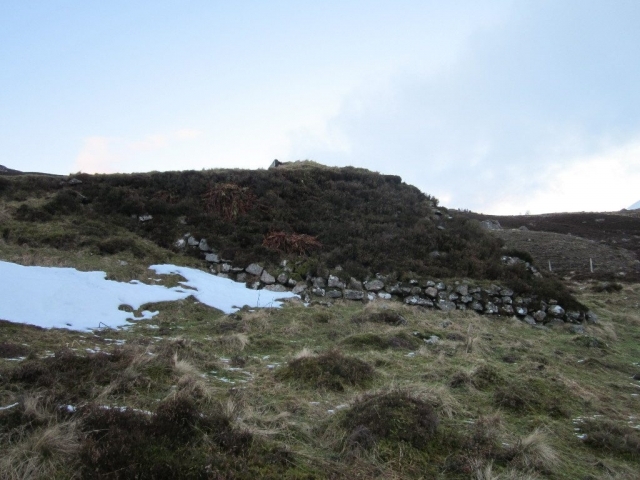 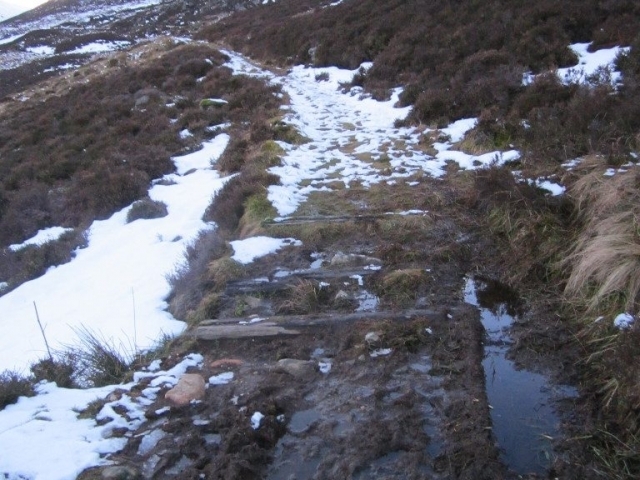 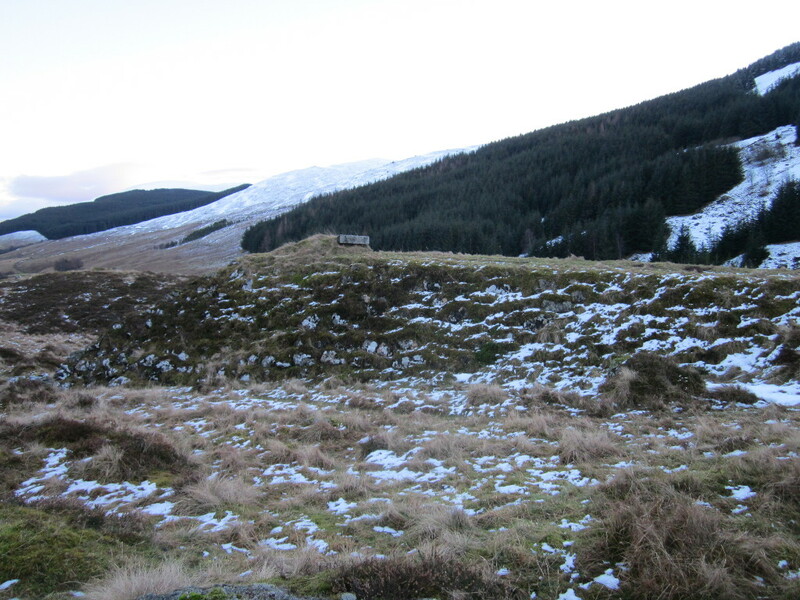 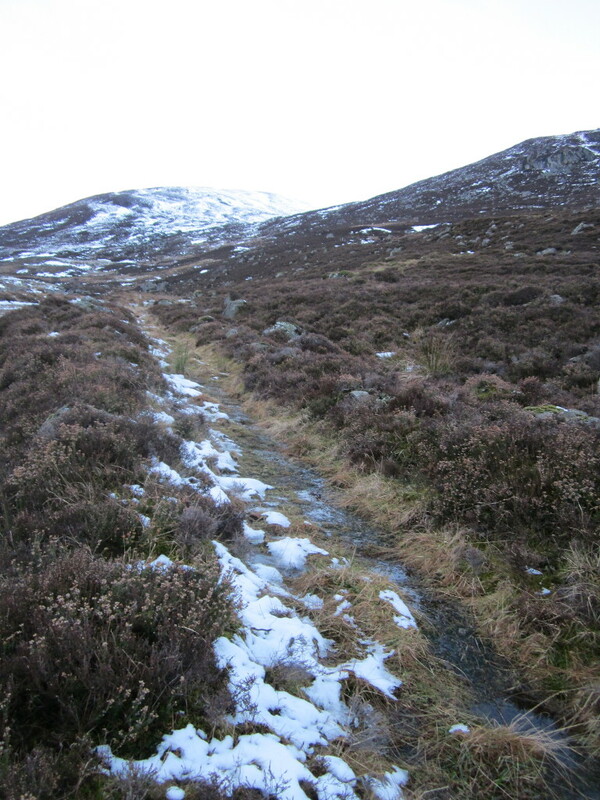 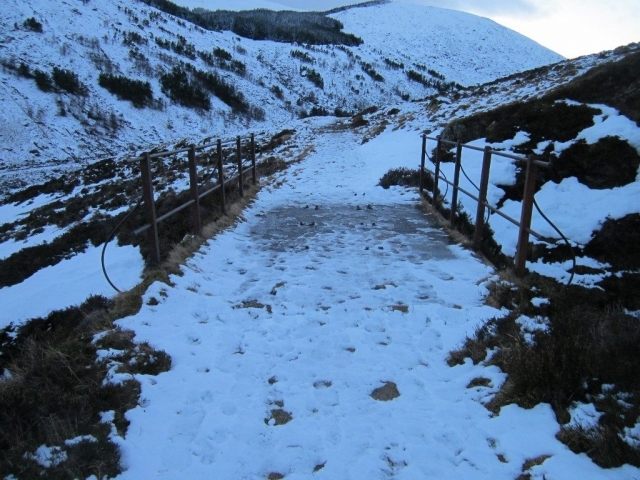 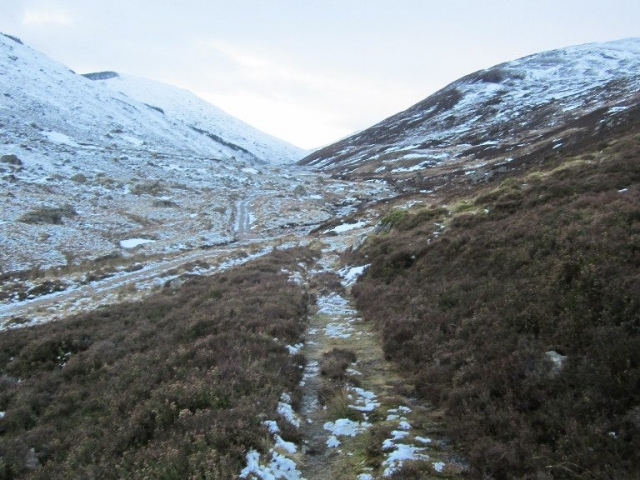 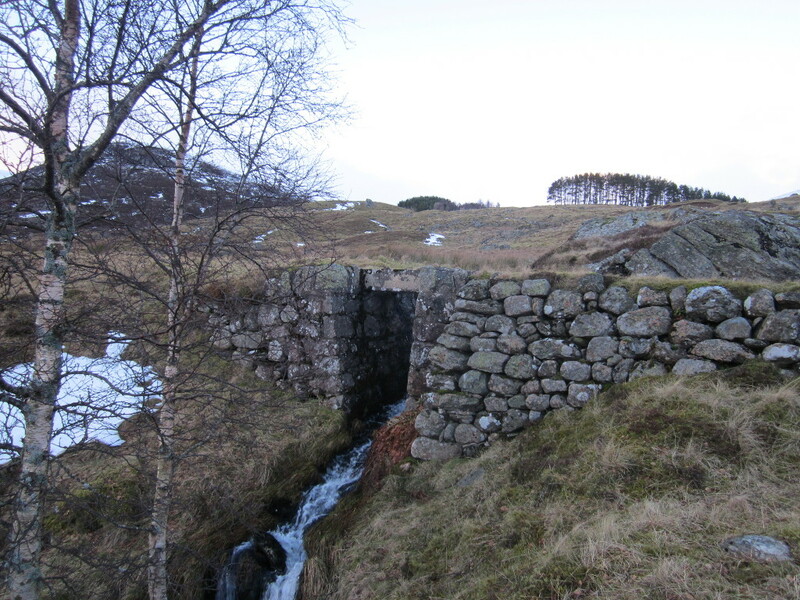 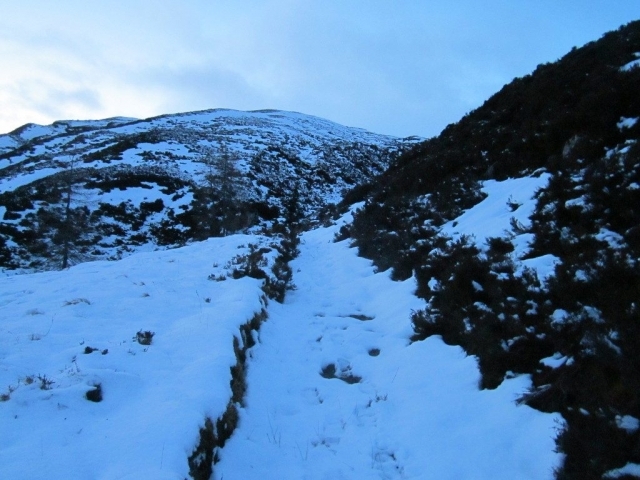 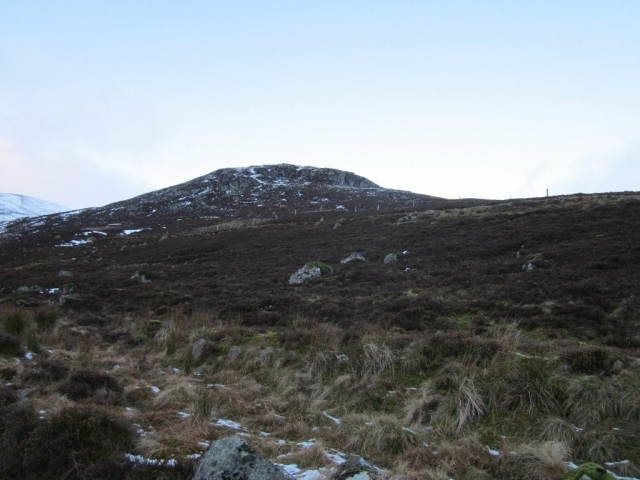 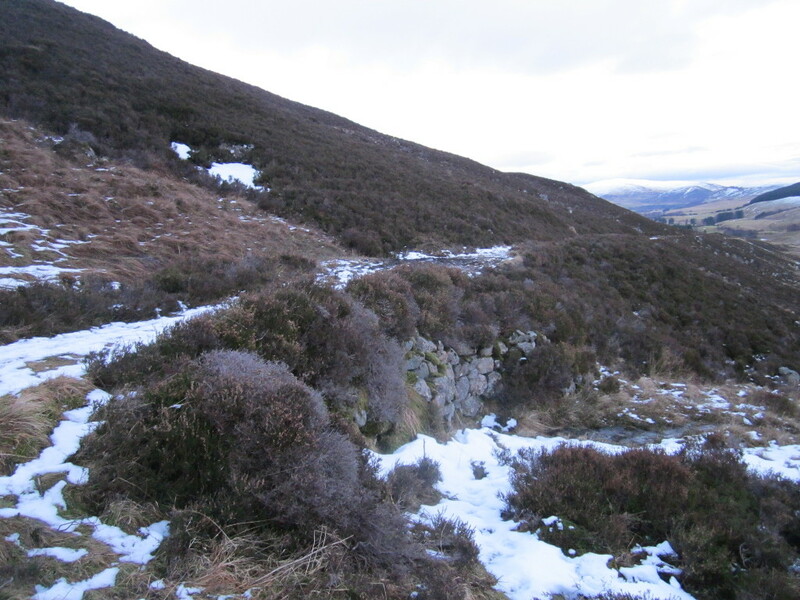 The Railway was built to provide easy access to the grouse moors from the Dalmunzie hotel and was closed in the late 1970’s and incorporated a rare (for the UK) zig-zag to gain height. 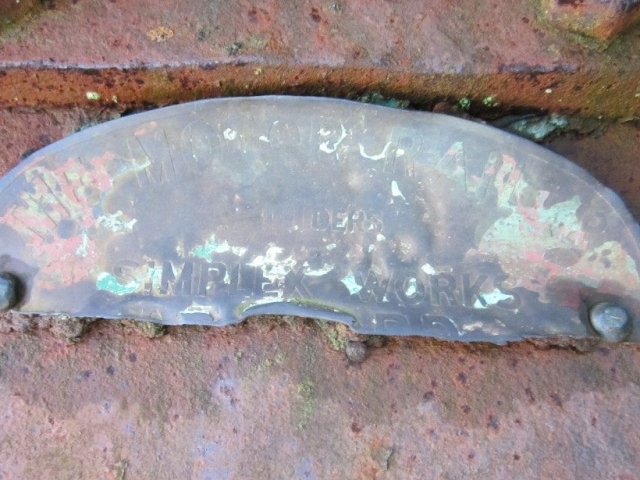 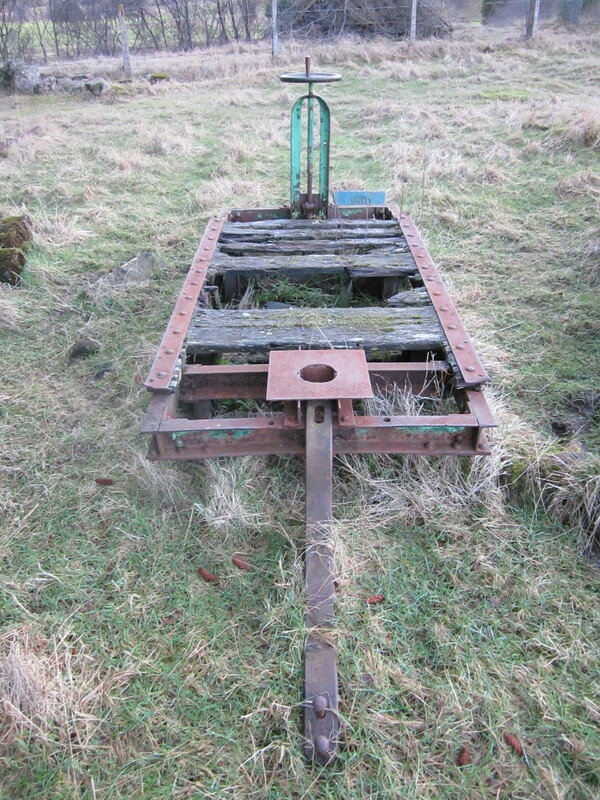 You can find more information on the railway on the Mount Blair Community Archive. 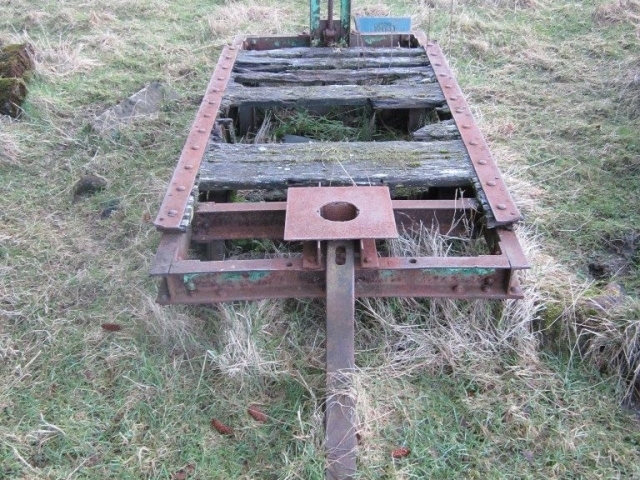 There is also an excellent article on the railway in issue 109 of the Narrow Gauge & Industrial Railway Modelling Review by Mark Greenwood. 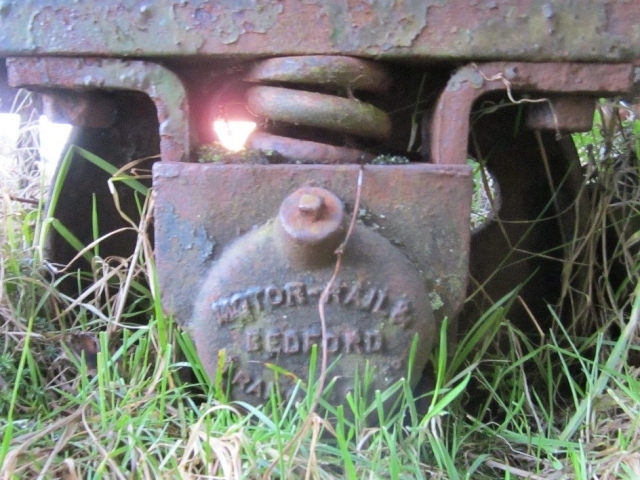 At the time of my visit I was informed by hotel staff that the locomotives and coaches were no longer on site, they had previously been reported as present. 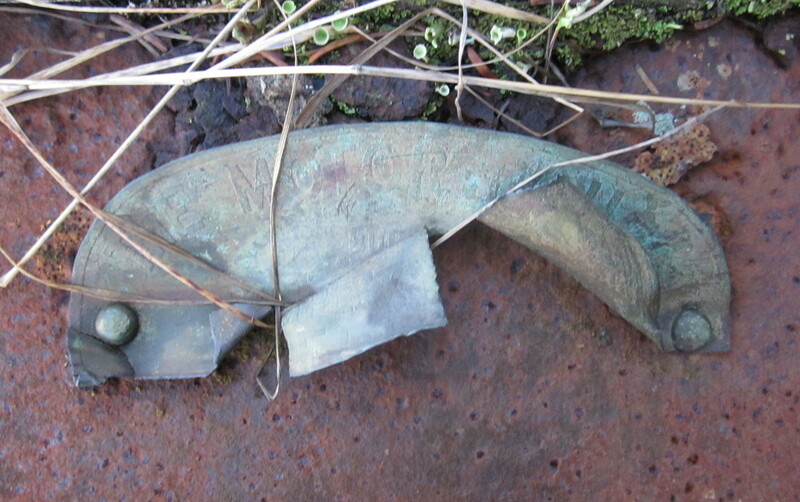 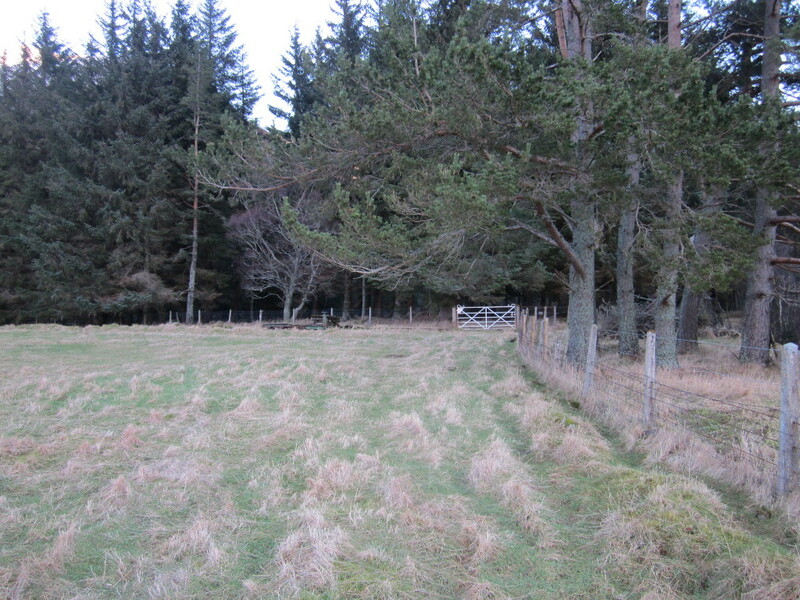 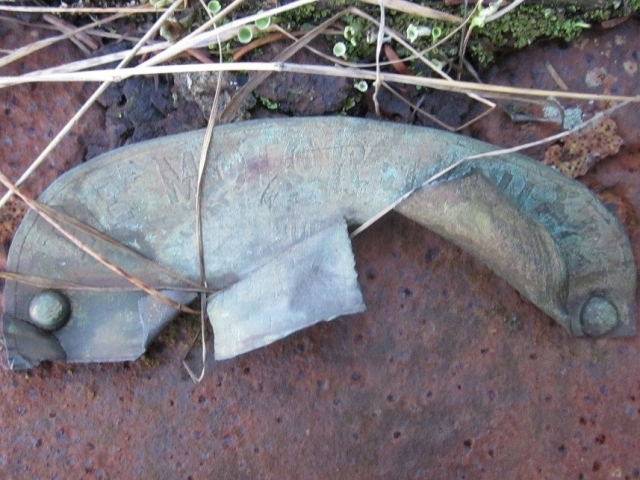 However, a month later another visitor to the hotel was shown them at Glenlochsie Farm. 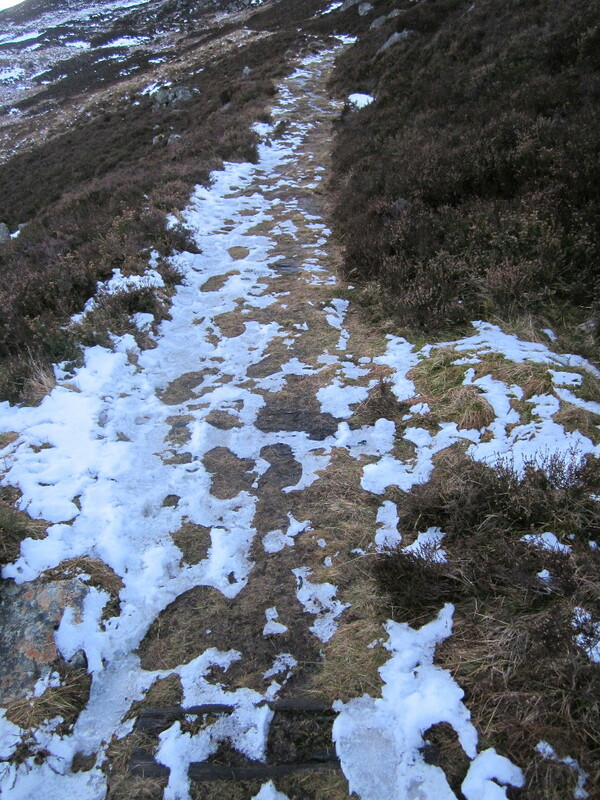 So it would seem that I was misinformed. 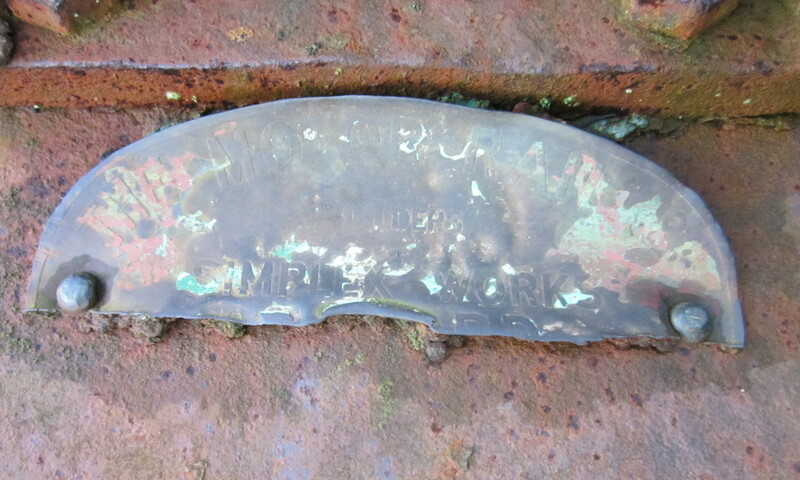 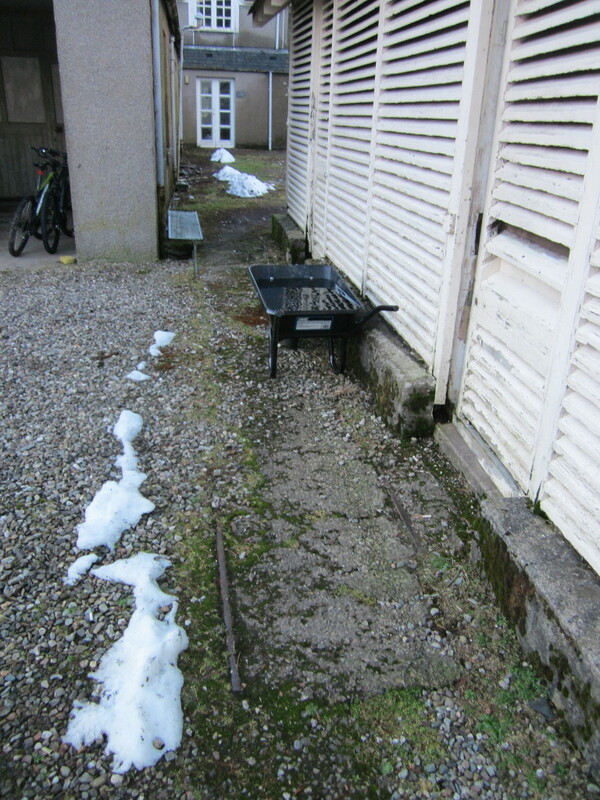 At the time of my visit, the only sign of the railway in the immediate vicinity of the hotel buildings is an old length of rail embedded in the ground. 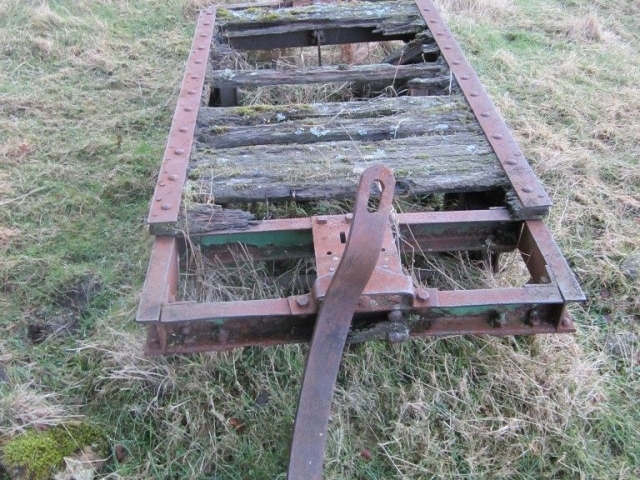 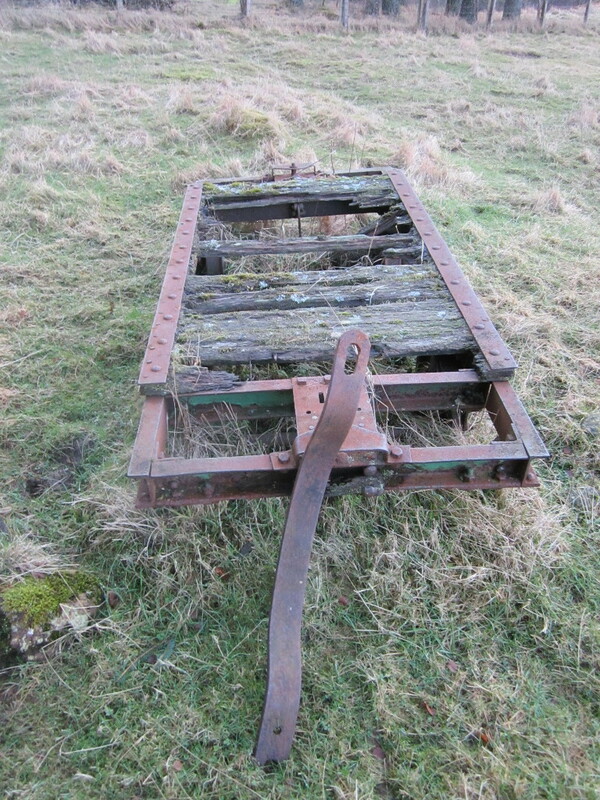 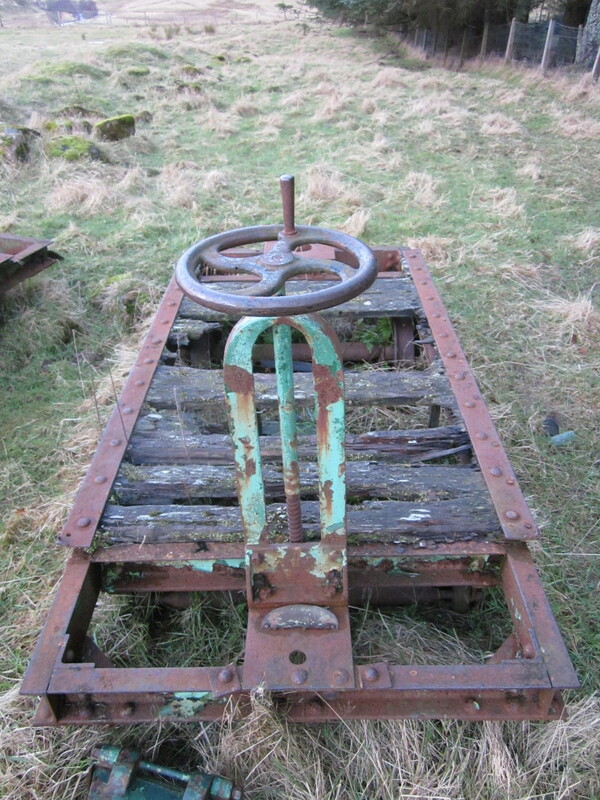 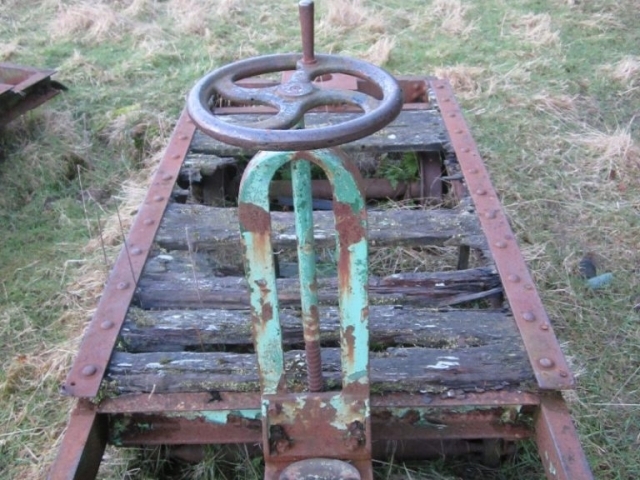 There were some wagon chassis, sleepers and old rails on the edge of the hotel grounds, while occasional sleepers and lengths of rail were visible periodically along the route. 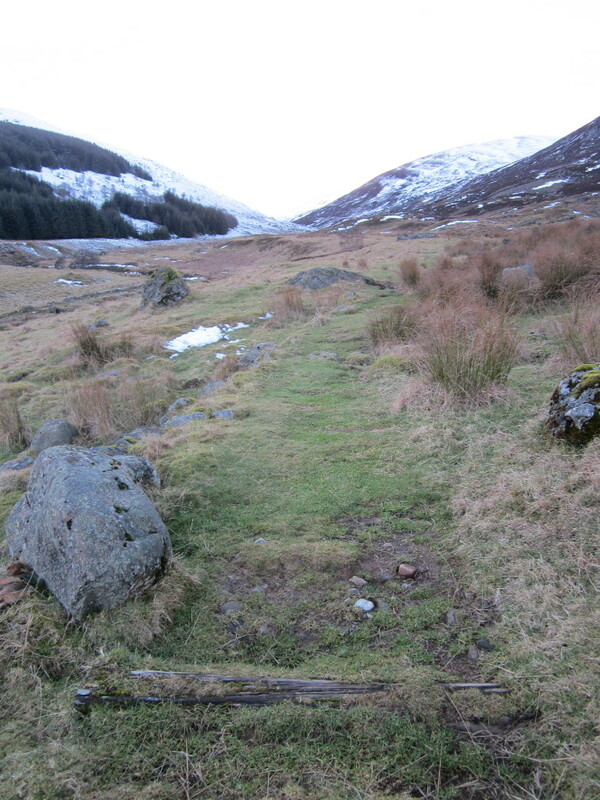 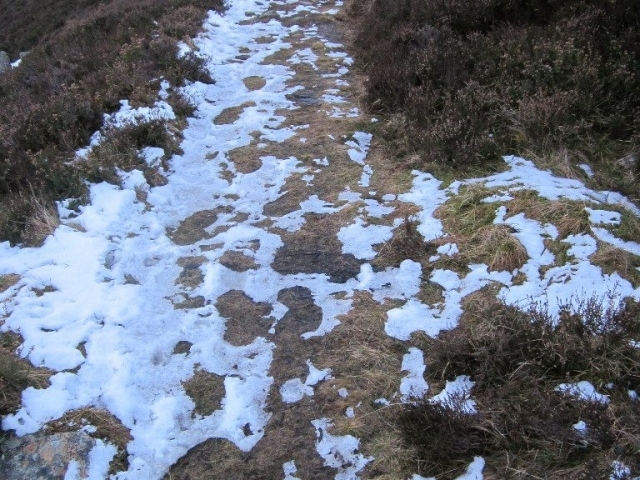 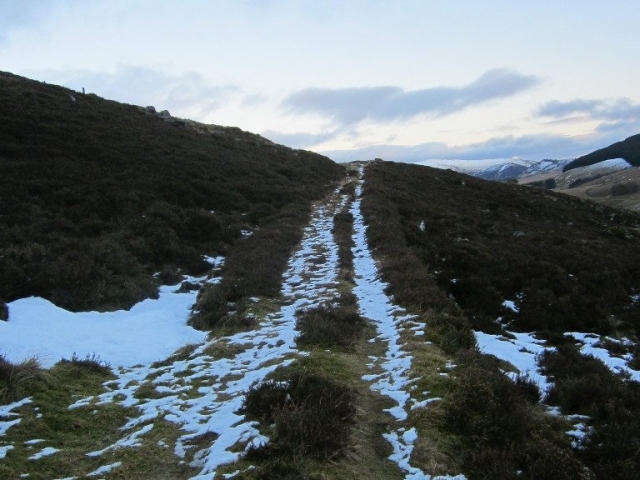 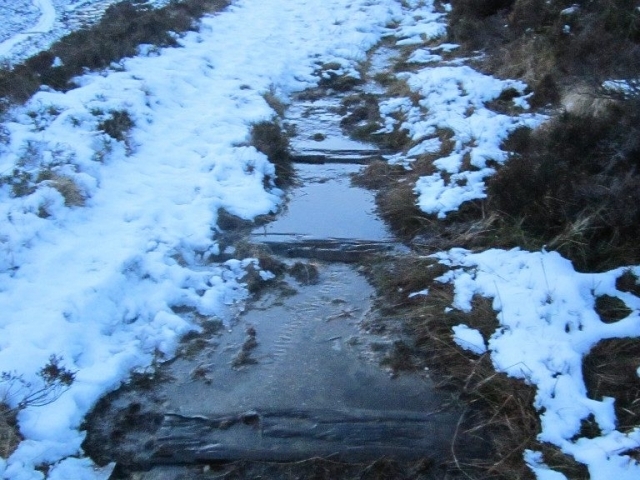 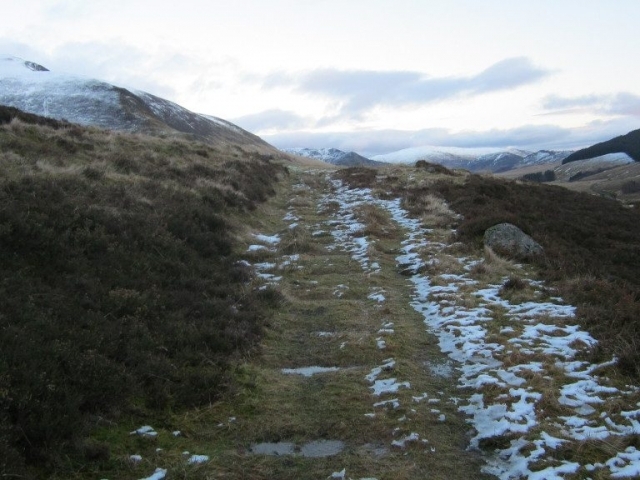 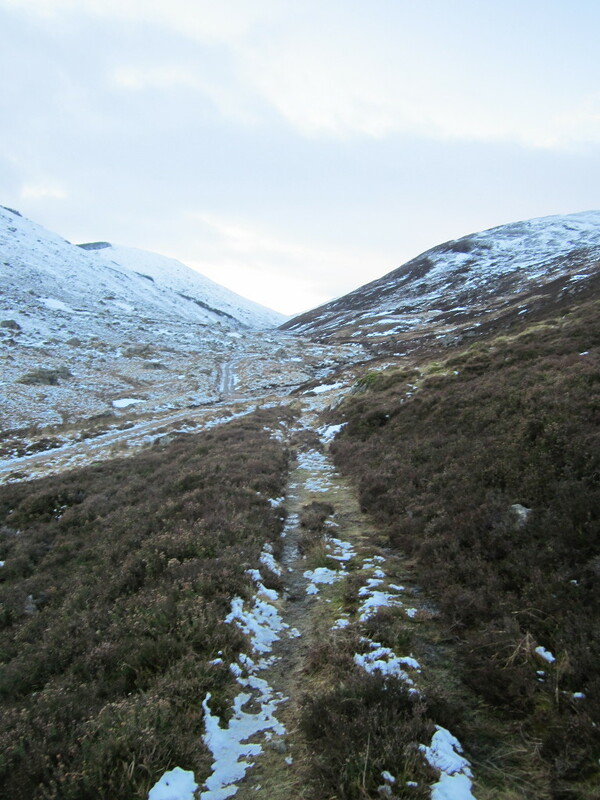 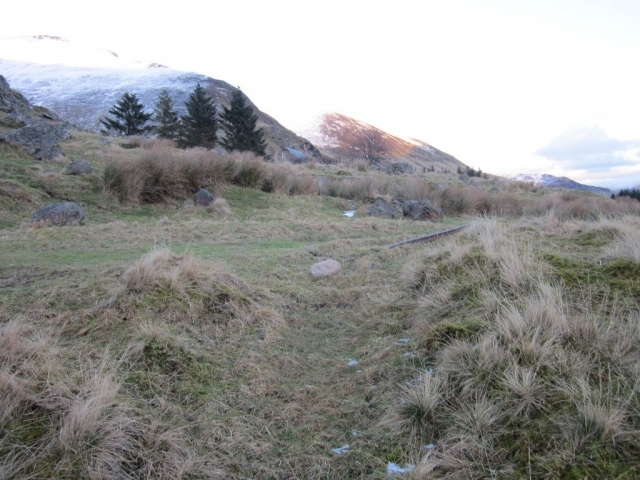 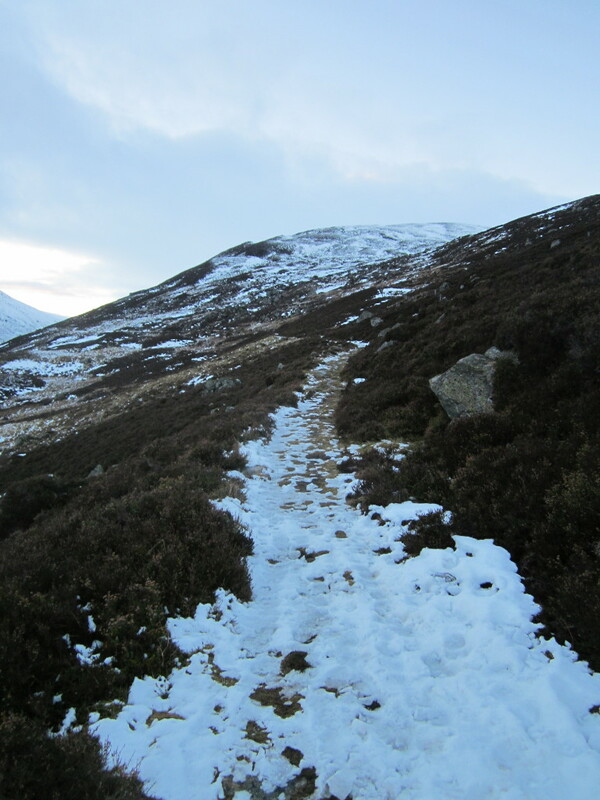 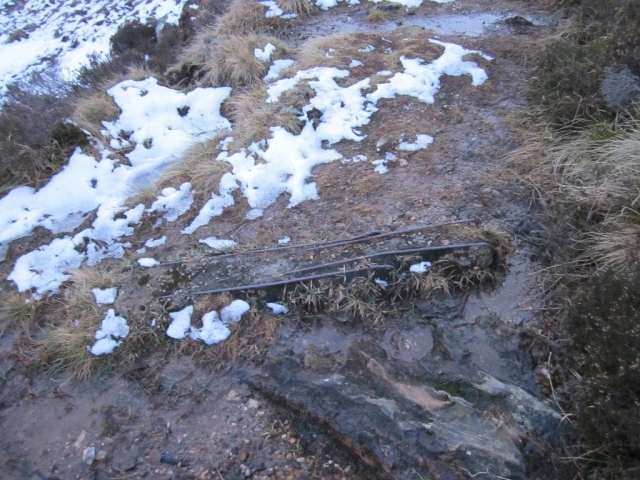 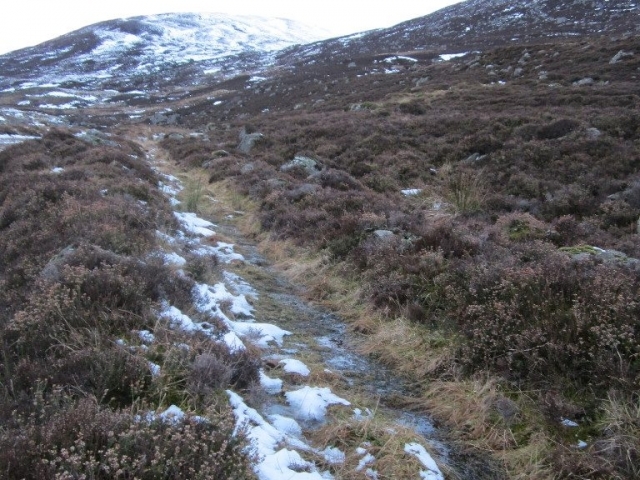 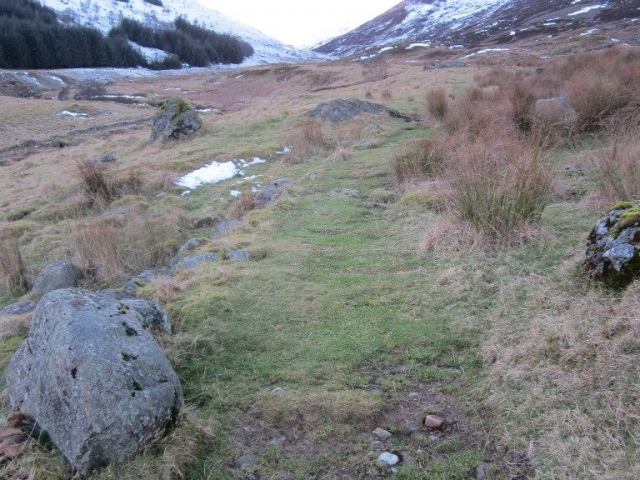 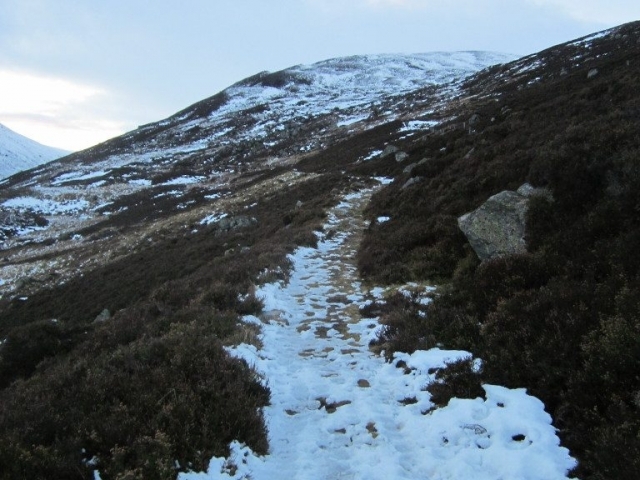 The track bed is clear for the entire length of the line and it can be walked with relative ease, although there are some trip hazards on the upper part of the line, which was also quite boggy in places. 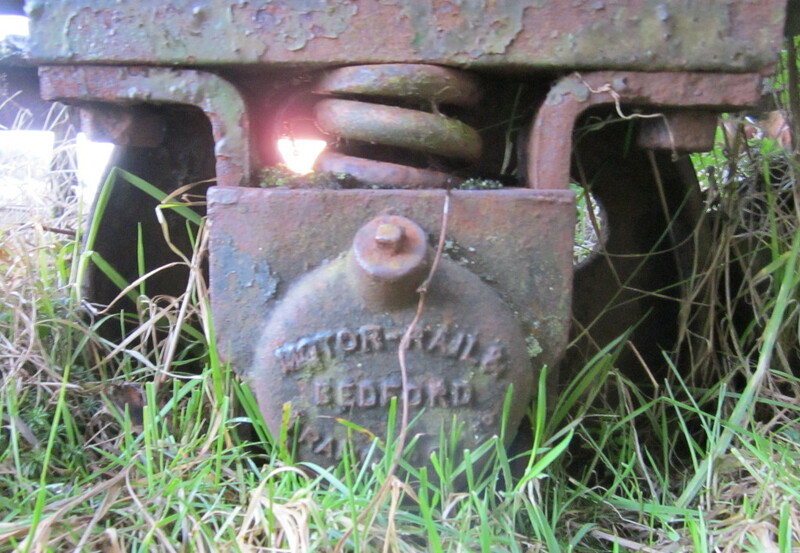 Good footware is recommended. 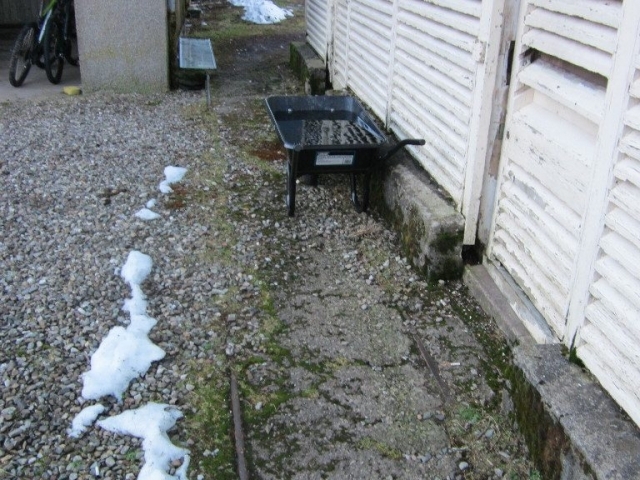 The photos are presented in chronological order, starting from the hotel and as such provide a “virtual” trip along the railway in it’s current state. It was nearly dark when I reached the end of the line, so the later shots are not very well lit.